Comet Self-Inking Daters have changeable date bands and come in a variety of sizes. 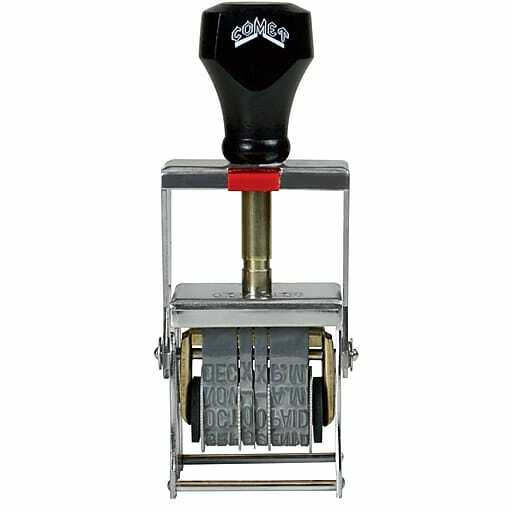 They have a built-in stamp pad, so no messy separate ink pad is required. All Comet daters include date bands made of vulcanized rubber, knurled wheels to easily turn bands to desired date, and hard chrome metal plated frames. Metal wheels also available per special request.